In May 2009 Salt Separation Services was awarded a nine-year contract, which included the removal of a competitor’s RO plants and the retrofit of our own plants onboard each of the Type 23 Frigates (13 ships in total). The newly installed plants have proved to be highly reliable in operation whilst demonstrating OPEX savings. 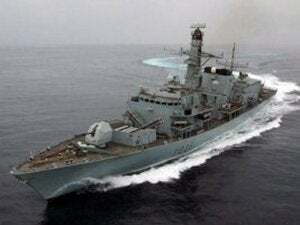 The Type 23’s existing RO plant were proving unreliable due to frequent failures and high running costs. The new plants utilise a pre-treatment plant suitable for littoral operations and post-treatment to improve product water palatability. The bespoke plants where designed to fit through a hatch of 800mm x 800mm. The removal and installation took a team of five Salt Separation Services engineers a total of five weeks to complete on each ship.